French toast is one of my favorite things for breakfast. Of course, I love most breakfast foods covered in maple syrup. I learned the basics of French toast from my mom ages and ages ago. Oh wait, that makes me sound old. I'm not old. I'm experienced. (Ha ha! Just kidding!) 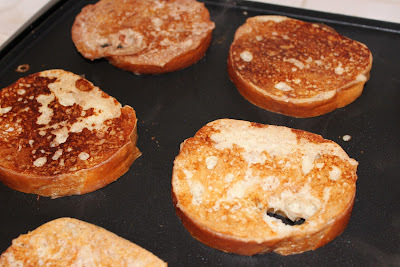 Anyhow, as a kid, my mom normally made French toast using white bread, like for sandwiches. Once I moved out on my own, I started using different breads and experimenting with quick-dip or long soak in the egg mixture. 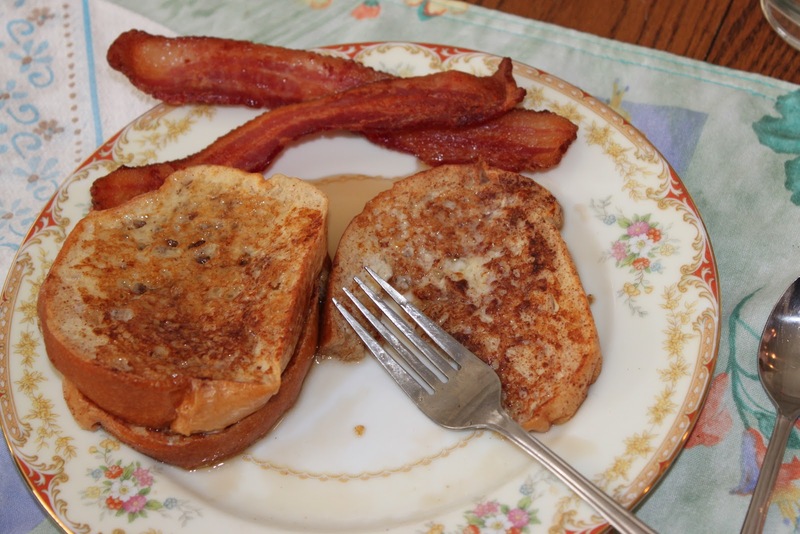 I have heard people absolutely rave about "overnight French toast." Ahem. Excuse me. That is not French toast. What you have in that case is actually bread pudding. Yeah. Bread soaked in egg mixture and baked in a pan is bread pudding. I have held onto the concept that True French Toast must be made from French bread and dipped in eggs. (My husband likes me to use sourdough occasionally. It's good too.) Of course, I have strayed from what is in the eggs, so mine is enhanced with milk, sugar and vanilla. It's just so sweet and tasty that way. Also, I like to let my bread air dry a few minutes before dunking and cooking. Let me just point out that where I live, humidity is super low so bread dries out in minutes if left on the counter. This works well so the middle isn't all soggy. If you live in a humid place, I suggest that you dry the bread a bit in the oven. I don't mean toast it or dehydrate it like croutons. Just make the outer surface firm. 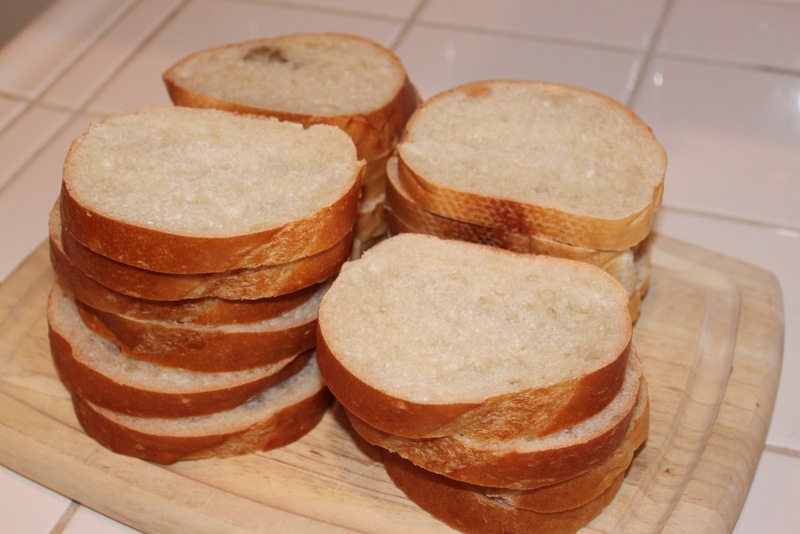 You don't have to use dry bread, but it will take longer to cook the sogginess away on the griddle . One more thing. I like cinnamon. 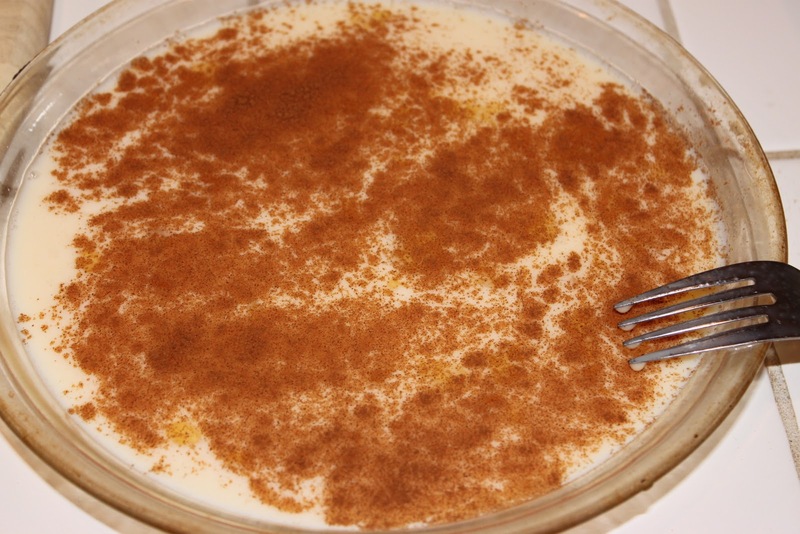 My kids like cinnamon, so we can never get too much cinnamon in the egg dip. I frequently add cinnamon to the egg dip so all pieces of French toast are really cinnamony. You could sprinkle it directly onto the dipped bread as it cooks on the griddle. It also makes it a really beautiful deep brown when they are cooked just right. 1. Slice bread about 1" thick. Let them sit out to dry a little more while you prepare the egg dip. 2. Beat eggs. Add milk, sugar, and vanilla. Mix well. 3. Heat griddle to about 350F. Grease or spray with nonstick spray. I like shortening for this. Butter will burn and make your food stick and get gunky. 4. Sprinkle cinnamon on surface of egg dip. 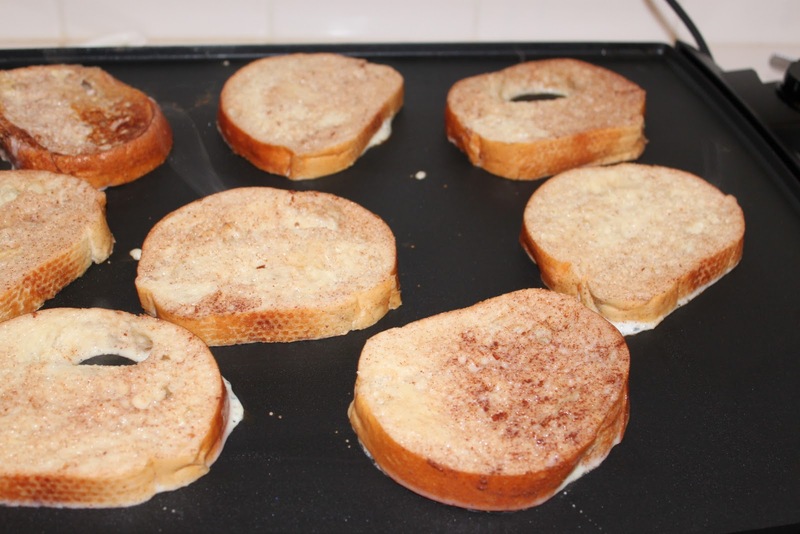 Dunk bread slices into egg dip. Add more cinnamon after every two slices of bread. 5. Immediately place dipped bread on hot griddle. Cook about 3-5 minutes per side, or until the egg dip has set and browned. I like to make sure the bread cooks well enough that the center isn't soggy, but the edges are not hard and dried out. See how brown the egg gets? It's yummy that way. 6. Serve with butter and maple syrup or sliced strawberries and whipped cream. One loaf will make enough French Toast for about 6 servings. You may need a huge griddle to make this much French Toast. I have a Presto Tilt and Drain griddle. I can fit 12 pieces of French Toast on at once.